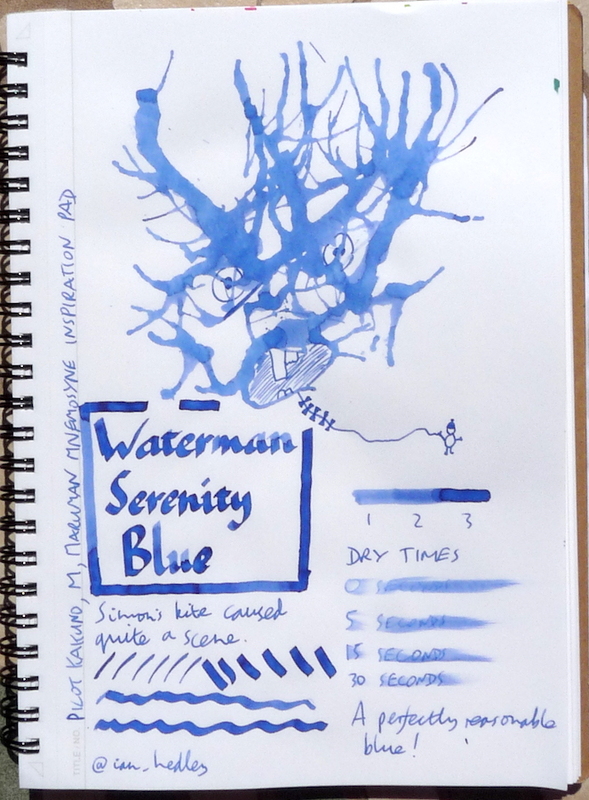 Waterman Serenity Blue Ink Review – Pens! Paper! Pencils! Waterman Serenity Blue is one of those inks with a reputation. It’s well known for being one of the safest inks there is, recommended for use in the most delicate of vintage pens. As far as its colour goes, it’s a nice royal blue, which isn’t to my taste (reminds me too much of school). 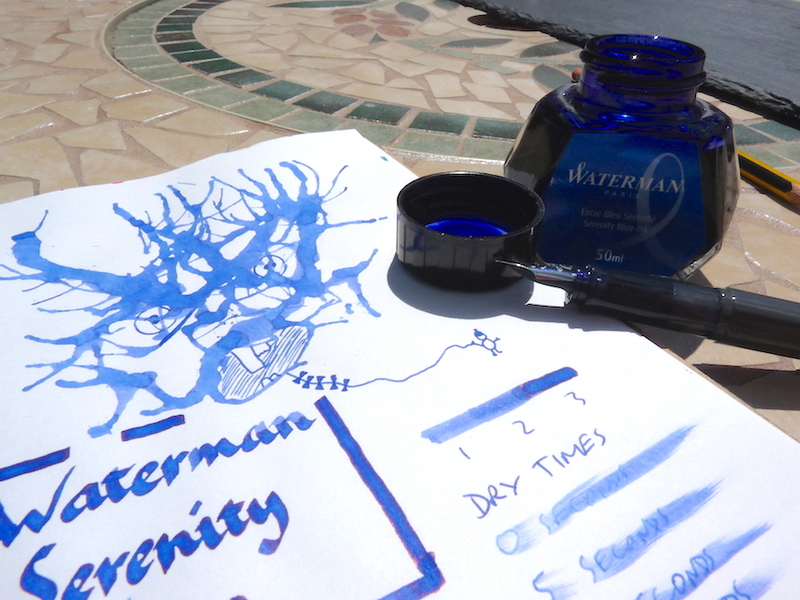 You can find some more reviews of Waterman Serenity Blue on Pennaquod. This is one of those inks I’ve never had a bottle of (the packs of cartridges are always on offer in Auchan, and I’ve accumulated enough to build a small fort out of the boxes) but use quite a bit. I don’t like it as much as Waterman’s Blue/black, or Havana Brown (…or violet, or Turquoise, for that matter) but it’s a nice, safe choice for correspondence, and I’ve not used a pen yet that doesn’t get on with it. Despite that damning with faint praise, It’s one of those inks everyone should have knocking around, I think, and I’d go further and say that it’s worth keeping one pen inked with it. This (well, Florida Blue) is the first bottle of ink I ever bought, along with a bottle of Havana Brown. It was the 1990s and I had just bought my first fountain pen, a Waterman Phileas (I still love that pen). I didn’t know anyone who used a fountain pen and I kind of thought maybe you had to use the same brand ink as your pen. You’re right that it’s not a breathtaking color, but it’s a nice solid blue that isn’t blue/black. I still like it and Havana Brown a lot.